Shay Bourne is a man on death row for murdering a cop and an eight year old girl. The girl’s mother, June, was 8 months pregnant at the time of the murders and has since given birth to a baby girl, whom she has named Claire. Claire is now 11 years old and the execution date for Shay has finally been determined, but it takes a dramatic turn when he sees on the news that Claire needs a heart transplant. Shay quickly offers his own heart, but this raises many difficult questions. Can June let her daughter take the heart of the man who killed her husband and daughter? Will taking the heart of a murderer change her daughter’s personality? Can she bear to pass on it and lose yet another daughter? 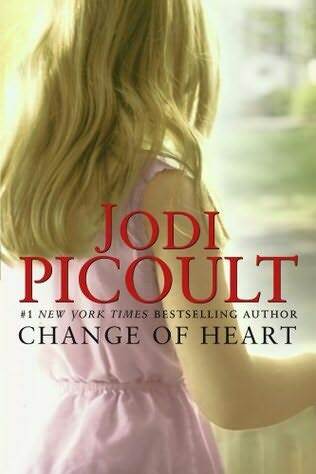 Picoult is a master of finding difficult moral issues and displaying all sides of the issue. Much like her other stories nothing is ever as it seems, so readers need to read to the end to find out what surprises Picoult has in store. Fans of Picoult or Diane Chamberlain will enjoy this title because the story and the characters are engaging. Readers need to read to the end, but can they skip the middle? I like your blog! I’ve added a link to it from my blog, on a new Book Review Blogs page. I’ll soon be blogging about the importance of reviewers.